Congratulations to "Janet", "Tena" and "Jean", the winners in this year's JRS Holiday giveaway. Thank you to the authors and readers for their awesome participation! 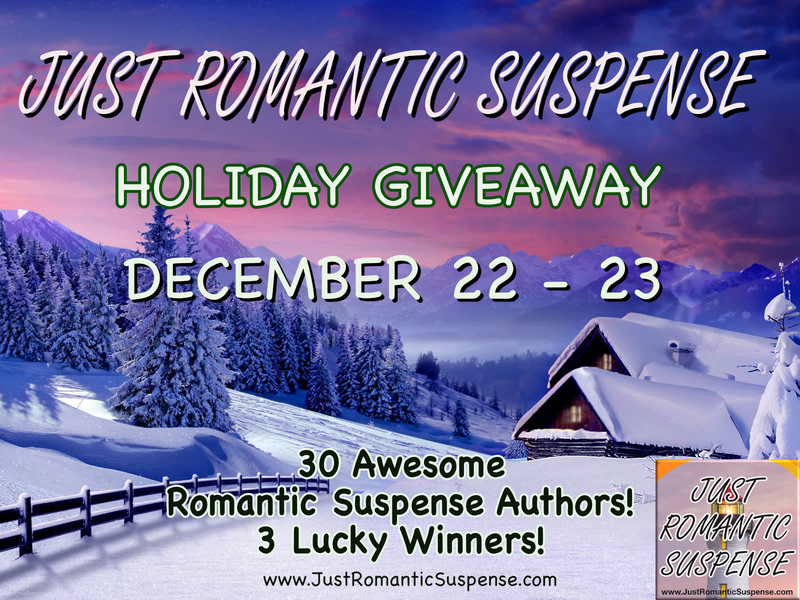 From December 22-23 everyone has an opportunity to enjoy the holidays with the JUST ROMANTIC SUSPENSE HOLIDAY GIVEAWAY. Thirty of your favorite Romantic Suspense authors have pitched in with their print or digital books to make your holiday season a special one. 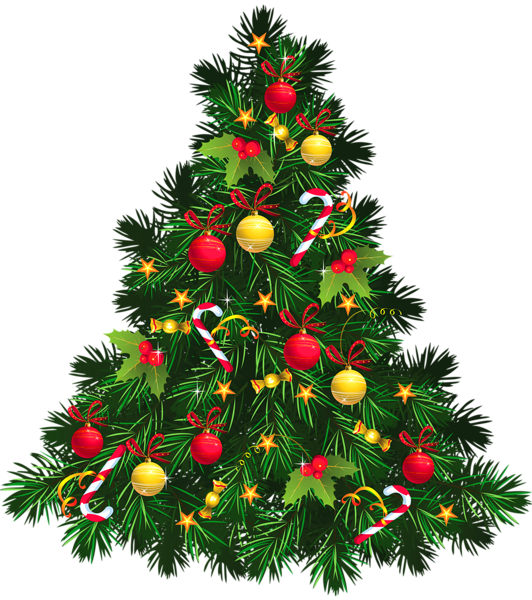 On December 24th, one grand prize winner will be able to select 10 titles of their choice from under the tree. To enter, simply share your favorite holiday decoration! Giveaway ends 11:59pm EST December 23rd. Please note the author's individual restrictions. My favorite holiday decoration is a Christmas ornament my kids made for me. 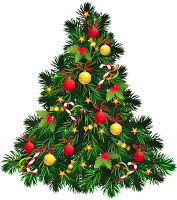 My favorite decoration is a small wooden Christmas tree with wooden candles that I received as a child. My favorite decoration is a hand made one my daughter made me when she was young. She has passed away so I cherish this. My favorite decoration is a wreath my daughter made for me. a snowman snow globe that used to be my late grandma's. Thanks for the fun giveaway! My Christmas mouse stocking that I have had since I was a kid... it still plays music! I love the lights on the houses, parks, zoo, etc. We always spend days viewing as many as we can. I HAVE A COUPLE OF HANDMADE DECORATIONS THAT MY SONS MADE IN 2ND OR 3RD GRADE. THEY HAVE BEEN ON THE TREES EVERY YEAR. CRUDELY MADE BUT LOVED JUST THE SAME. I love angels for Xmas. They are my favorite!! My favorite decorations are my angels. I have straw, crocheted and glass ones on my tree and in the house. Plus a well-worn angel that has been with us through 25 moves and over four decades together. She’s our tree topper. My favorite Christmas decoration is a dolphin ornament my nephew got for me. My favorite are the ones made by my children. My favorite decorations are the ones my grandson makes for me. The Angel on top of the tree. My favorite holiday decoration is the nativity set my husband and I got our first Christmas after we got married. It is a small Hummel set. The figurines are children and remind me of It's a Small World at Disney. He was a B-52 crew member during the Vietnam war. I had flown over to Guam to be with him for Thanksgiving (he was shipped out 5 weeks after we got married, a wedding that was delayed because he was held over during his first tour.) He was supposed to be home for Christmas, but was extended again because they were bombing Hanoi. We held our breaths for 3 weeks waiting for him in Florida. He got home over 3 weeks late, but got home safely. The nativity set reminds me of the hope, plans, and worry of the first 6 months of our marriage. A train that my grandmother had under her tree. My favorite decoration is the one my 18 month old grandson picked out for me. My favorite is a set of Christmas bell ornaments in the shapes of snowmen, angels, santas and reindeer that I have had since I was little. They were given to me by my grandparents, one a year, that I kept on a little tree I had in my room. They bring back wonderful memories each year I get them out to place on my tree. I have several favourite decorations. All the ones my children made when they were young. My favorite decorations are anything my kids made me when they were little! I cherish them now that they are adults! My favorite decorations are the ones my kids make in school. My favorite decorations is a little mouse sleeping in a shoe. I love mice ornaments. My favorite decoration is a the Cinderella castle ornament we bought when we were at Disney World several years ago. My favorite holiday decorations are my nativity sets! I have some ornaments that were my grandmother's ornaments that are special to me!